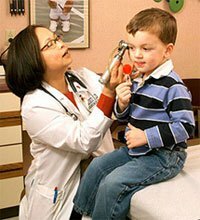 Saf-T-Pops are also known as the "lollipop with the loop" and the "doctor's pop". It is the only pop with the fiber cord loop handle, and each pop is individually wrapped - handle and all! They are much safer than a pop with a straight handle and therefore the name. 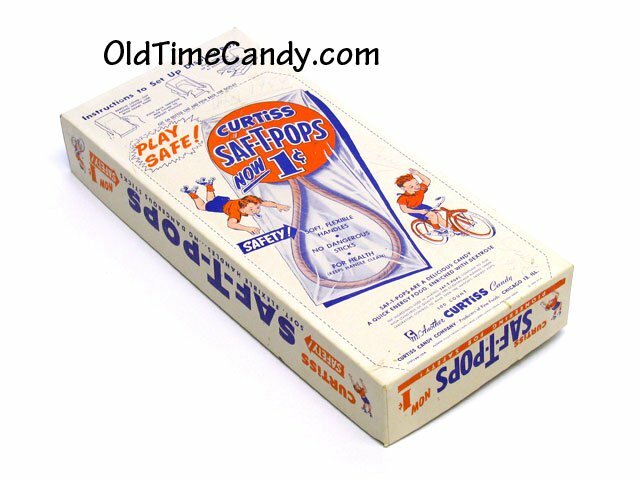 Saf-T-Pops were developed in the early 1940s by Carl W. Spohr of Chicago and Robert F. Bracke of Arlington Heights, Illinois. Curtiss Candy Company acquired the rights to Saf-T-Pops in the late 1940s. At this time, Curtiss was a division of Standard Brands, who also made the popular Baby Ruth candy bar. The idea for Saf-T-Pops, safety lollipops for toddlers with a flexible fiber loop handle, was trademarked April 7, 1942. Spangler Candy Company bought the machinery and trade name in 1978 from Curtiss Candy Company in Chicago and began production in 1979. In 2005 Spangler added numbers and letters to the pops. With letters and numbers on all Saf-T-Pops, eating a Saf-T-Pop can be a tasty and educational treat! As a child my mother was a stay at home mom until I started school. We would often go out to run errands and I remember often times going through the drive-thru teller lanes at the bank. I loved going to the bank because I always knew that after the transaction between grown-ups was made, the bank teller in the window would send candy through the chute just for me. Although this is still a common practice, I always felt special when I would get my Saf-T-Pop.